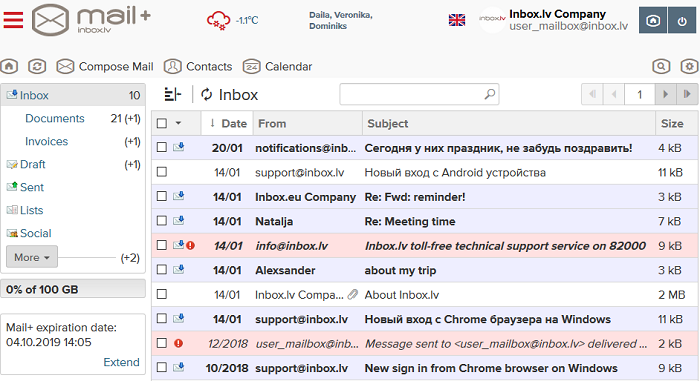 Continuing the conversation about additional features of the Inbox.lv mail server, this section will focus on settings that help personalise the mailbox and make working with emails faster and more convenient. 1. Try the built-in “Show all unread emails in a folder” filter in order to quickly find all unread emails in a folder. 2. Folders with new emails can be seen at the very top of the list. 3. To quickly find all the emails sent by the sender you need in the folder, use the built-in filter or quick search. 5. If you often write a new email to a certain group of your contacts, do not enter all the contact data again each time manually or by copying it. Create a group in the “Contacts” product and send a new email to a specific recipient group at once. How create group of contacts? 6. You do not need to download the Audio and Youtube files sent to you, as you can listen to them and view them in the mailbox itself. 1. A spell checker must be enabled, especially for important and business conversations. Turn ON spell checker? 2. To highlight the main thing in the email (meeting date, indispensable conditions, response time, deadline, and so on), use text highlighting in different colours. 3. Smileys in the email itself or in its subject will undoubtedly add emotion to your correspondence with friends and acquaintances. 4. Images can not only be added as attachments to the email. Copy and add inline images to the content of the email itself. 5. Transliteration is an indispensable tool for all translit lovers. 6. Use the “Save to Drafts” feature in order not to lose the text you have written. At any time, you can get back to the email, finalise it, and send it to the recipient. 7. To quickly attach files to an email, drag and drop the files. 8. If a file is large, you do not need to split or archive it. File transfer up to 1.5 GB. The recipient will receive a link to the file and download it from Inbox.lv Files, which is a storage for any files; it has no time limits, and it is completely free. 1. 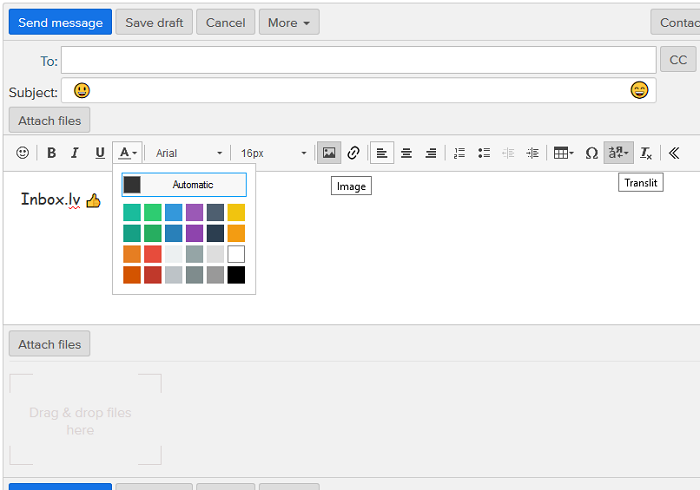 Coloured themes, larger or smaller text size, font change will help to make your mailbox more comfortable for your eyes. 2. Check your signature: if necessary, you can add a company logo or highlight it with a colour. 3. If you are in correspondence with friends and business partners, it is useful to have several signatures and to make the signature that is used more often selected as default. 4. 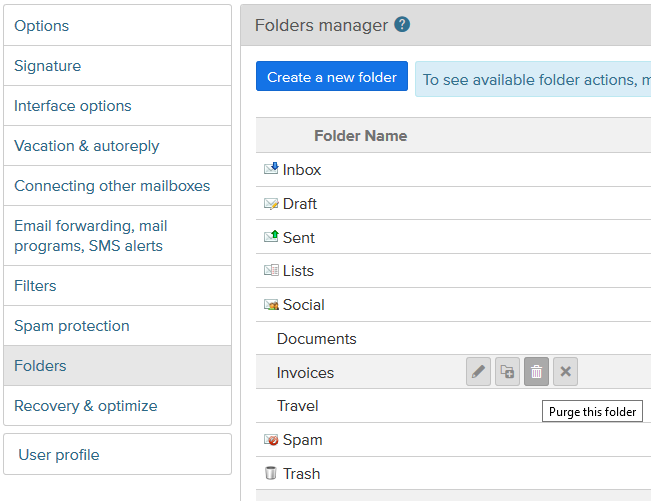 All incoming mail can be automatically distributed into the necessary folders or subfolders. To do this, use filters. 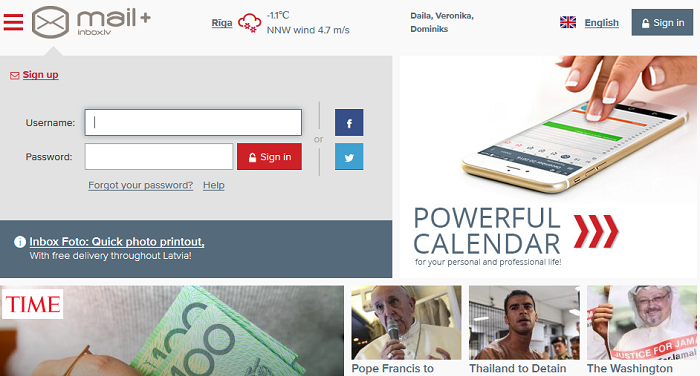 Folders where an email just received is to be found, can be moved to the top of the list. 1. 100 GB or 200 GB of space: you do not have to be preoccupied with your mailbox size any more. 2. Complete absence of advertising: in the mailbox, emails and the mobile version. 3. Sending unlimited emails every day. 5. Possibility of personal mailings to a large group of recipients. 6. Faster work with mail. Truly quick functioning on even the oldest computers, and many other things. 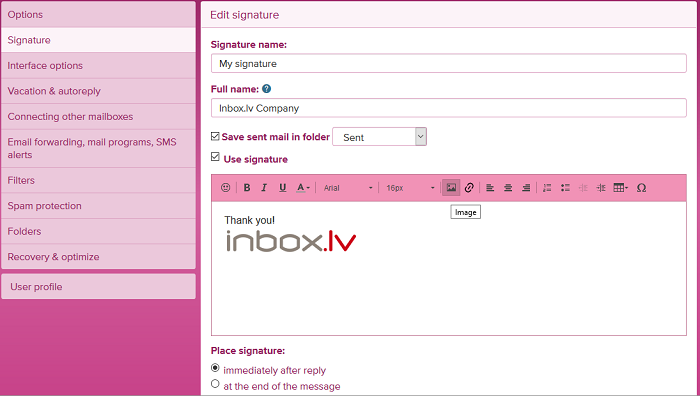 Inbox.lv technical support: free phone number 82000 or support@inbox.lv.